How are you? I hope you are well and have a free time to read our newsletter. In today's newsletter, we want to discuss the topic of grooming. How do you consider, is grooming very siggnificant aspect of your Gentle Giant life? 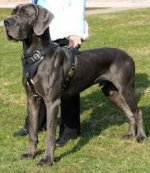 Your Gentle Giant requires grooming as well as other dog breeds. This process is very significant not only for his look, but also for his good health. It will be easy to find out any problems with a dog’s skin, paws, early symptomes of deceases while grooming process. The sooner you find out these problems, the sooner you will care about your four-feet friend. Your Gentle Giant grooming will take your time but the results will be unbelievable. Your main purpose is to make your four-feet friend happy and healthy, isn't it? We advise you to start the grooming procedure when your Gentle Giant is still a little puppy. Thus, he will get accustomed and take pleasure of this process with you. Good luck in this not simple process! 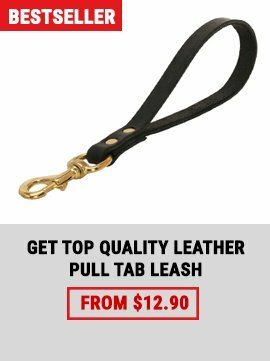 Luxury Dog nylon leash for tracking, walking and training with support material on the handle also best for using everyday!!! 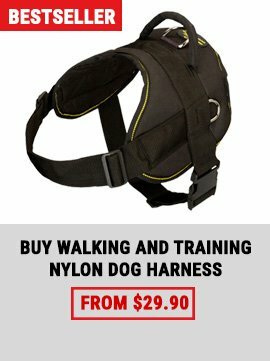 The soft leather padding on the lead handle makes walking your dog a pleasure. 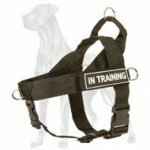 This very comfortable but highly practical cushioned handle both reduces sweat and friction problems that can occur on prolonged dog walks. 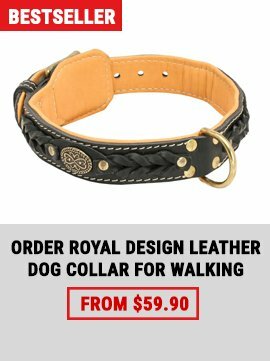 Durable dog leash for medium and large dogs like Great Dane.